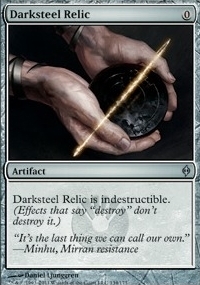 3: Return Batterskull to its owners hand. 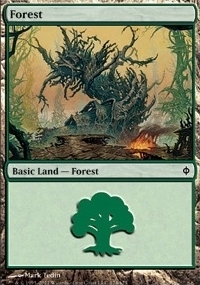 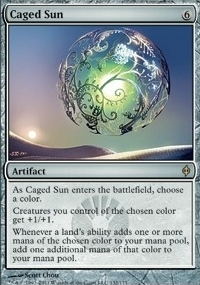 Whenever a lands ability adds one or more mana of the chosen color to your mana pool, add one additional mana of that color to your mana pool. 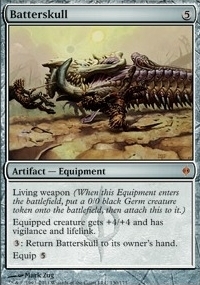 2, TAP: Exile target artifact card from a graveyard. 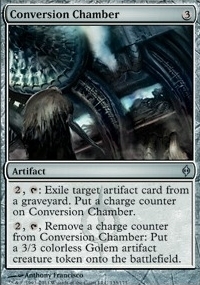 Put a charge counter on Conversion Chamber. 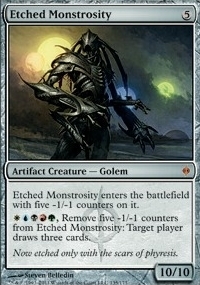 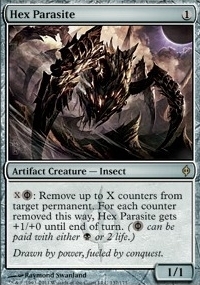 2, TAP, Remove a charge counter from Conversion Chamber: Put a 3/3 colorless Golem artifact creature token onto the battlefield. 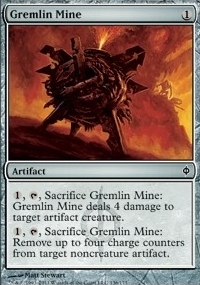 1, TAP, Sacrifice Gremlin Mine: Gremlin Mine deals 4 damage to target artifact creature. 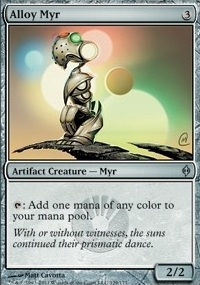 1, TAP, Sacrifice Gremlin Mine: Remove up to four charge counters from target noncreature artifact.